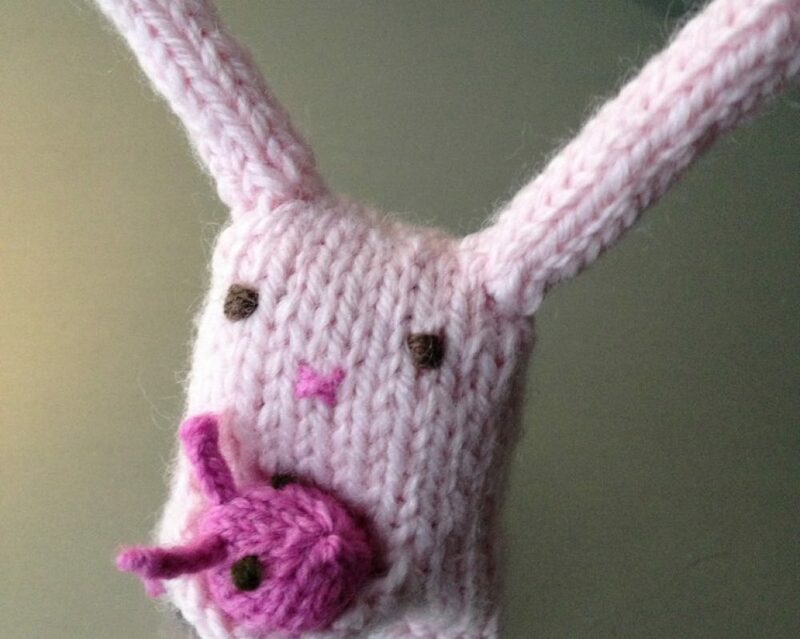 I love knitting gifts for people who I love and care about. It brings me great satisfaction. On my needles is a second Christmas gift (for K this time) with plans to make a wonderful tassel so that they can tell which one belongs to whom. I finished one pair of lobster mittens yesterday and the “bands” to hold them together a second pair is on the needles this morning. I have two shawls in process – one gray angora rusched capelet and another triangular shawl in Noro sock yarn that has dropped stitches making it look lacey. I have plans to make some giant olives for my future sister-in-law who grows them in California (check out Sorele Paradiso!) and makes a phenomenal boutique organic EVOO (extra-virgin olive oil – thanks Rachel Ray!) 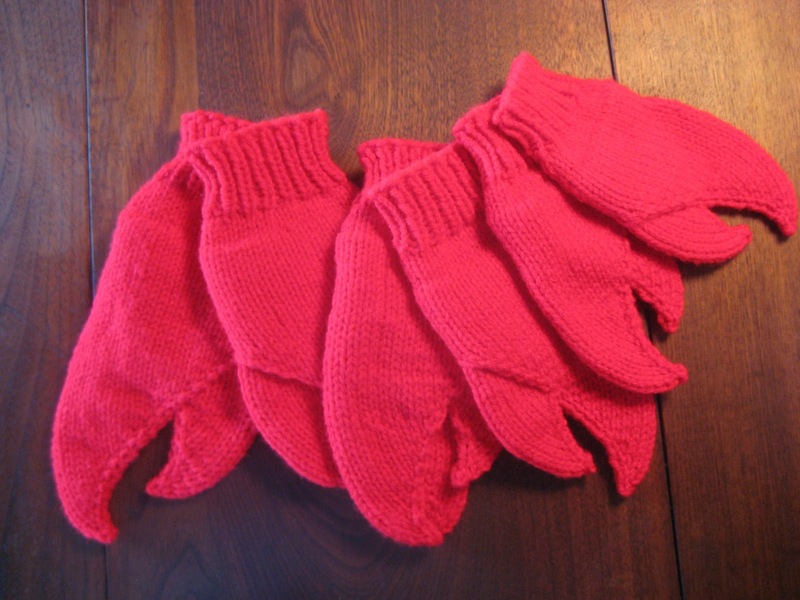 And then there are the mittens that I saw in Vogue Knitting ages ago that I’ve coveted AND purchased the yarn for. But knitting for myself always falls to the end of a very long list! It’s really OK with me, though. I really do love knitting for others best. What are you knitting for a gift this holiday season? Anyway, the gift-giving season is fast approaching and I am putting aside knitting the darling pup sweaters that I have designed and will be marketing in the little boutiques in Northern California where, as my brother says, “women with access to big bucks have little dogs they love to spend money on!” Let’s hope so!